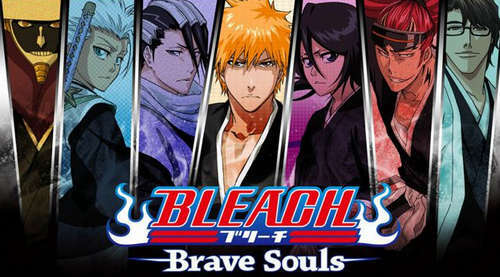 Relive the Bleach story in this new action-packed hack-n-slash game by KLab Games. 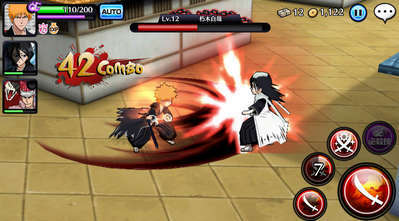 This Brave Souls hacked version will make you invincible thanks to some really cool cheats! - Co-Op Quest room filters added. - Side and Sub Story menus added. New Stories will be added to each menu periodically. 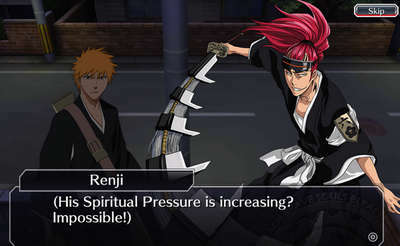 - Improved character and Accessory ordering. - Issues with some characters’ attack speeds and attack area of effect. - White lines appearing on the sides of the screen. Do not use cheats while you play tutorial (Blackscreen)! NOT: Use the TUTORIAL & ACCOUNT LINKING APK to play the tutorial and link your account to avoid blackscreen! Install the MOD APK after you have everything done over it like an update. Install Apk, Download data files in-game and play online. Please read MOD features above before installing! No Root needed! If you get any glitch or a problem comment below please! If you dont like mods, let me know so I can give you the Normal Apk! Install the APK, Download data files via wifi directly from game and play online.